Get ready to trigger traps with a tailwhip, spray on a speed boost and out-combo competition  right to the last second. 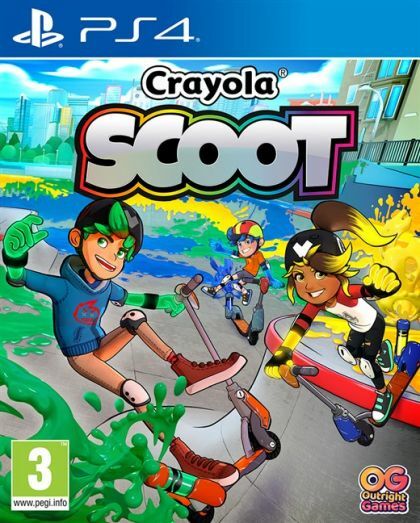 To be champion you'll need to beat the Scoot Legends in a rainbow of exciting events like Splatter Tag, Trick Run and a new twist on the classic game of S.C.O.O.T. Or grab your friends for a split screen color clash, with 4-player fun to make any party pop. Just remember, bigger stunts mean more color  and in Crayola Scoot, color can change the world in impossible ways.